Full and part-time degrees available in Waterloo and downtown Toronto. Full-time and part-time classes available in Toronto and Waterloo. Prepare for a career as an economist in the public or private sector. The Lazaridis School of Business and Economics offers a suite of professional and research-focused graduate programs designed to fit your lifestyle and meet your career goals. 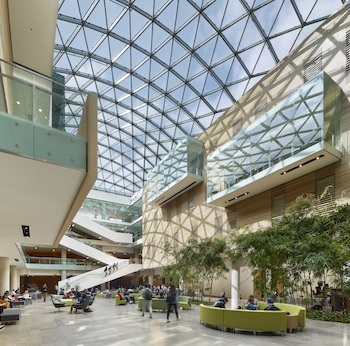 Whether you are looking to take a deep dive into cutting-edge research or earn a widely respected credential to advance your career, the Lazaridis School has something for you. Designed for the working professional, our programs apply real-world concepts and best practices to prepare graduates to meet the challenges facing today's companies and tomorrow's industries. The MBA is one of the most sought-after and versatile graduate degrees in the world. The Lazaridis MBA will allow you to advance in your current workplace or change careers completely. We offer several part-time and full-time degrees that will allow you to choose the best format to suit your career goals, location and schedule. The MFin degree is designed to help you pursue a career in finance in positions that demand both extensive finance knowledge and excellent quantitative research skills. Our part-time MFin program is located in downtown Toronto to immerse you in Canada's financial capital and our full-time MFin program is offered in Waterloo, Canada’s best technology ecosystem. Upon graduation, you’ll be able to conduct expert analysis in equities, fixed incomes, derivative products, corporate finance and portfolio management. The Executive Master’s in Technology Management (Lazaridis EMTM) is designed for senior decision-makers facing ever-growing complexity, global competition and disruption. We offer the program in an accelerated 11-month, alternating weekend format to enable you to balance an executive education with your professional commitments. Learn with some of the top academics from a broad array of disciplines. The academic focus of our programs is creating the next generation of thought leaders who produce leading-edge research. Our Master's of Arts in Business Economics (MABE) program will put you on track for a career as a professional economist in the private or public sector. Our strength is the combination of business economics with training in economic theory, quantitative methods and applied research. For your convenience, the MBA and MFin degree programs offer classes at both our Waterloo campus and downtown Toronto location.